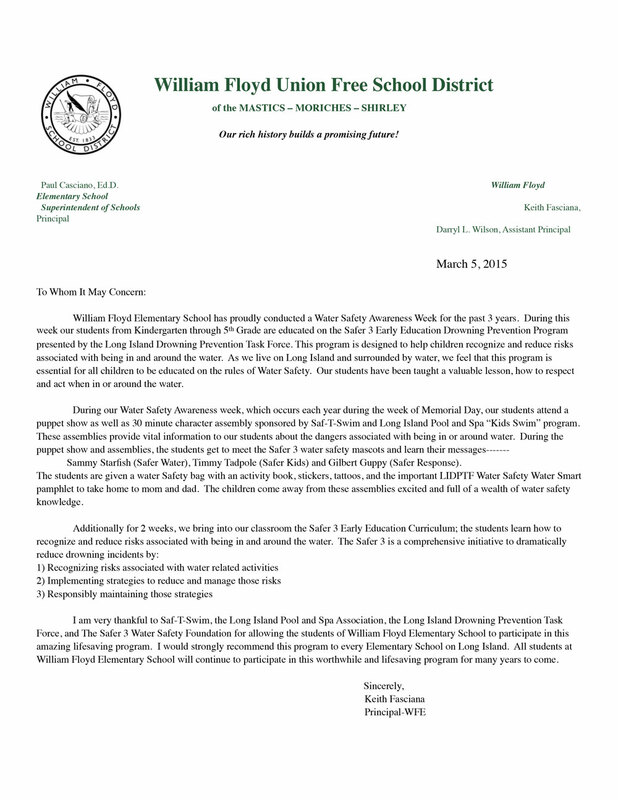 Just a few of the many testimonial letters we get at the End Drowning Now office from happy schools, summer camps, town pools, and many more places we put on Safer 3 shows for kids to understand why learning to swim is very important. Thank you for once again providing our school with a wonderful presentation on water safety. It definitely is a lesson that never grows old! Being that we are surrounded by water and water sports, this is an invaluable program that our school has been lucky enough to have visit annually. “This is a very important presentation for young children to see. It created a dialogue in our classroom that was quite eye-opening. The students related to the characters also. I wanted to thank you for your very informative visit to our Parent Toddler Workshop session last Friday. It’s not often that you can get that group to be so attentive, what with all those toddlers exploring and playing. But, you managed to do it and also impart some great information and suggestions to all in the room. Thanks also for the materials which I have had added to our collection. 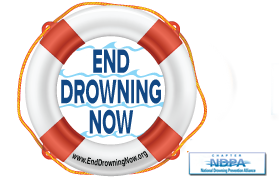 I feel sure that your efforts have brought a great deal of awareness to our patrons regarding their children’s water safety. I look forward to seeing you again next spring! My school was thrilled to have you and your team at our school. Your message was so important and it was so appropriate for all grades. You made everything very easy and your enthusiasm for your program is contagious. All the children had a great time while learning water safety lifesaving information. The colorful characters and the puppet shows were very engaging for the younger students and the older students were equally as engaged with their program. We loved everything about it and we can’t wait to book again for next year. Thank you so much for your wonderful presentation to Cherry Avenue school. The kids learned so much. Some of our teachers made comments about how informative it was when you sat on the floor and showed the kids how to rescue using the stick–it was empowering for even our smallest of students. I will definitely pass along the info to our parents and staff–I’ll also send along a pic of our water safety board once completed. Thanks again !! I’d love to get you one the schedule for next year–and this time I’d really like to work fulfilling a fundraiser to go with it !